There are 3 scenarios with 5-8 parts each that students must solve given the information. This is not intended for use as an introductory tool. 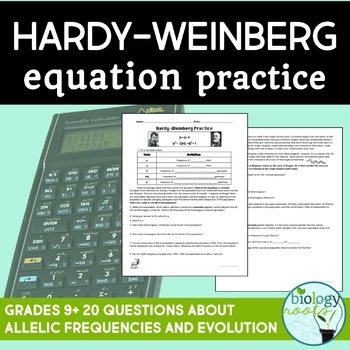 Students should be familiar with the Hardy-Weinberg principle and already have had a proper teacher introduction to the equations. This makes a great homework or classwork assignment!